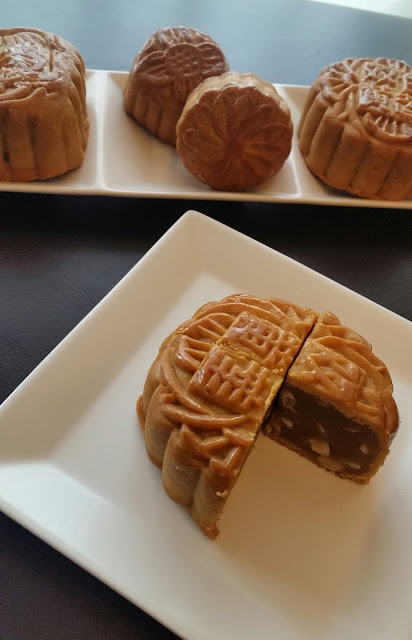 Finally, this is the first year I'm making my very own Traditional Mooncakes! Surprisingly, it is much easier than I thought it would be. Of course, being in the company of friends & learning to make these together with them at a baking class was the add-on bonus! Yay! 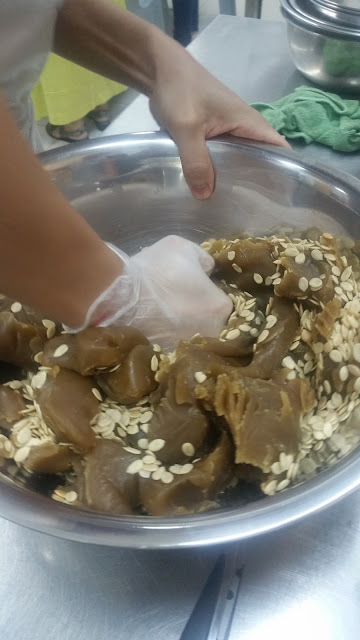 Over the years, it has became a regular activity for me and my friends to attend baking classes at Phoon Huat (PH) at least once every few months when we see a recipe that interest us. So far we have made goodies like, Prune & Cransberry Lapis, Panno Cotta with Cherries & Grand Marnier, Laksa Butter Cookies and many others. We have learnt so much about baking from the instructors at PH. 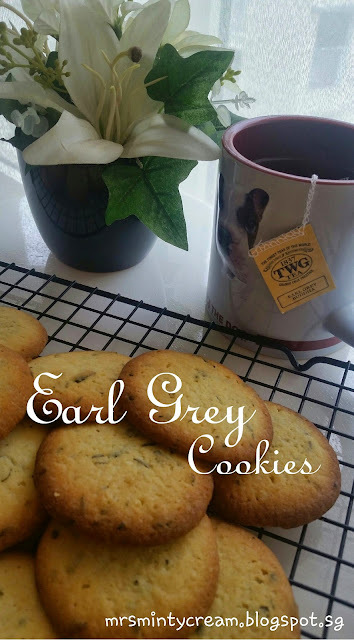 Honestly, not only are the classes affordable, the baked goods that we get to bring home at the end of the classes are usually really yummy & not to mentioned, the recipes shared are simple & pretty much failed-proof. If you and your friends enjoy spending some bonding time in the kitchen together, get it a try! Anyway, I have to say that I am really pleased with this Traditional Mooncakes recipe that was shared with us during the class by Instructor Patrick. 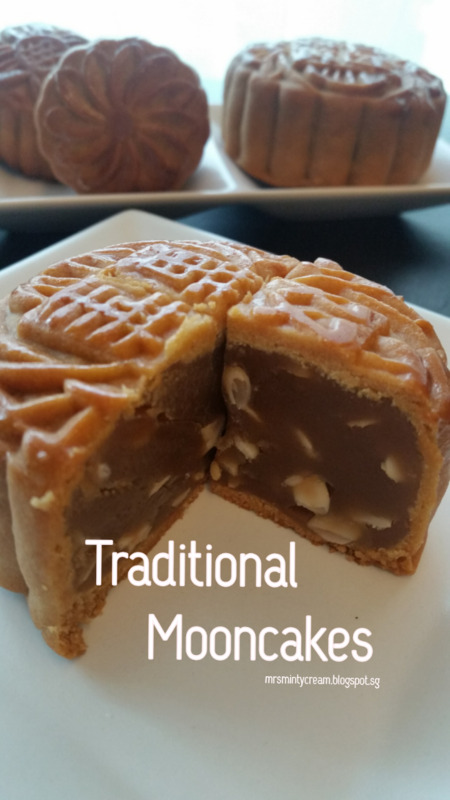 It is fairly simple and even though it was my first try at baking moon cakes, the end products were wonderful! Hubby and friends who have tried them commented that they tasted just like those you purchase from bakery/ cake shops outside. I guess it is not too bad for a first timer at mooncakes baking, isn't it? This experience has been quite a morale boaster and I look forward to making more of these in the years to come. Maybe next year I shall bake many more of these mooncakes and share them with more relatives and friends. That's a plan! Recipe: Adapted & modified from Instructor Patrick (Phoon Huat). 2. Grease baking tray before lining with baking paper. Set aside for later use. 3. In a large bowl, mix olive oil, alkaline water and golden syrup together. Mix well. 4. Fold in both flour into the mixture and mix well to form a dough. 5. Rest the dough for at least 15 - 30 minutes. 6. While waiting for the dough to rest, prepare your filling. Mix the lotus paste with the roasted melon seeds. After it is well-mixed, divide it into individual portion of 125g each (shaped into ball). Set aside for later use. 7. 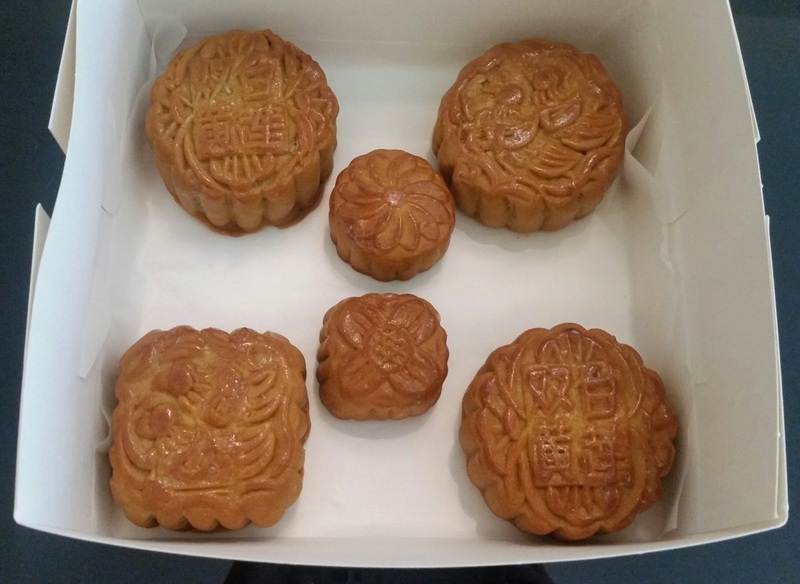 When dough is ready, divide and weigh out the dough depending on your mooncake mould size (shaped into ball). (I weigh out each dough ball of 40g each). 8. Flatten the dough and wrap the lotus paste filling into it. 9. 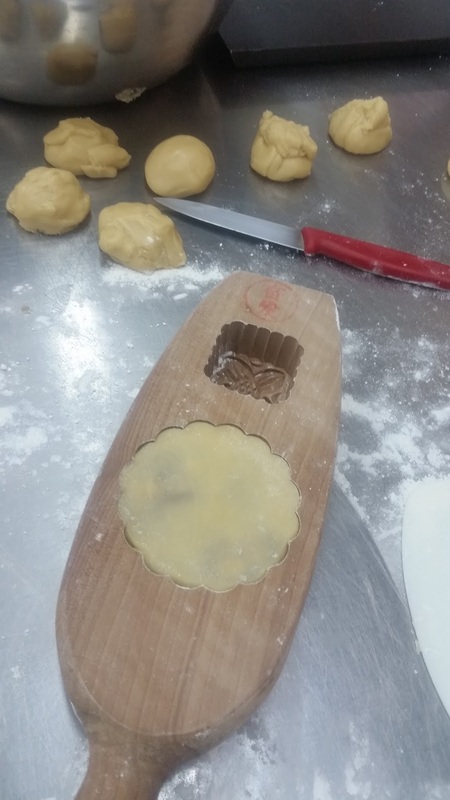 Dust the mooncake mould with some flour, knocking out the excess before placing the dough in. Push the mooncake into the mooncake mould and press it in firmly. 10. 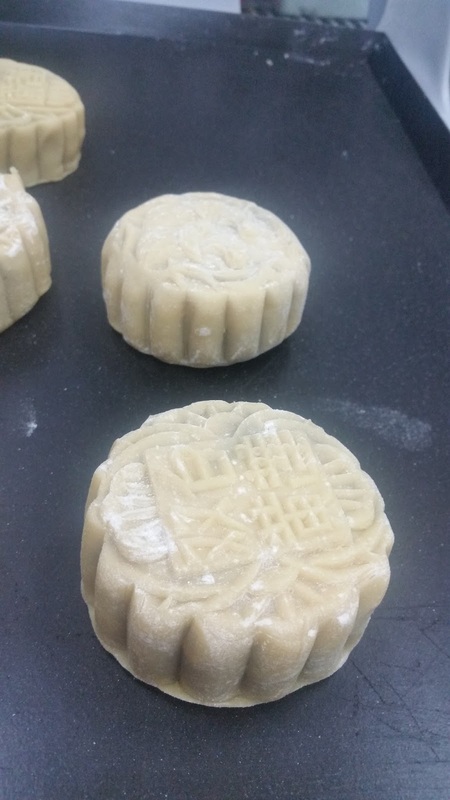 Once properly shaped, knock the mooncake out of the mould and place on baking tray. 11. 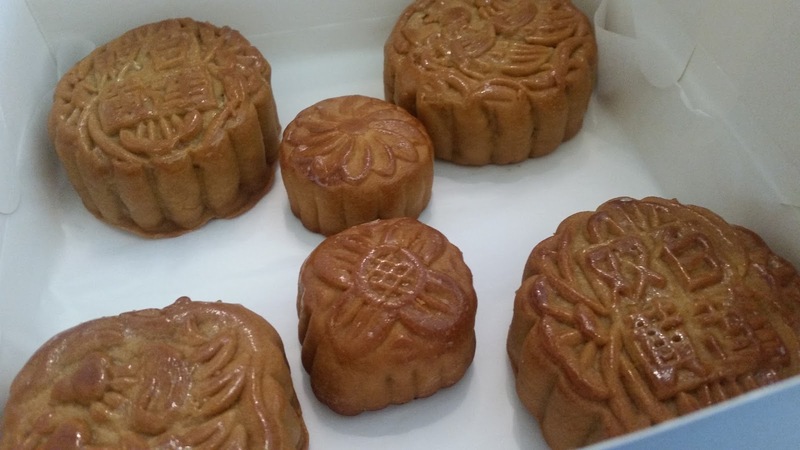 Before baking, spread some water on the mooncakes to prevent them from cracking during the course of baking. Bake at 180 C for 10 minutes or until the mooncakes are lightly brown. 12. Remove mooncakes from the oven and apply a layer of egg wash on the mooncakes. 13. Return the mooncakes into the oven and bake for another 10 minutes or until the mooncakes are golden brown. 14. Remove from oven and brush with super glaze immediately. 15. Allow the mooncakes to cool completely (preferably overnight). After which, flip over the mooncakes (top-down) and store them in a airtight container for at least 3 days before consumption. This will allow the mooncakes to be glossy and have a better shine to it. WOW! The first time I visited Asia, many many years ago, I was lucky that it was mooncake season, so we enjoyed our stay in Singapore so much! Now, when I have the chance to find some in the local Asian markets I HAVE to buy some as they are so delicious! I made a few myself (with lotos filling as well) but I did not have the traditional mold, so I used the thousand layer technique. But I confess I would like to get one of the molds as you have! So beautiful. Thanks for posting! Am so happy to hear about your wonderful stay in Singapore! Wow, your thousand layer technique sure sounds interesting. Care to share on that?